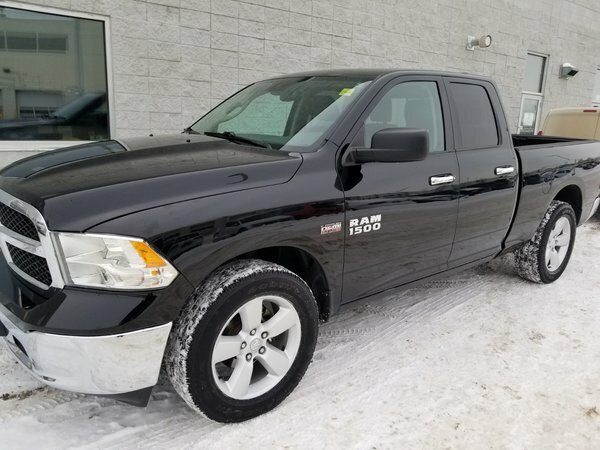 This 2014 RAM 1500 CrewCab SLT has 5.7L HEMI power, ON THE FLY 4x4, a/c, all the power options, TOUCH SCREEN DISPLAY, BLUETOOTH, CD, and lots more! This RAM shows very well in its brilliant black color and is in excellent condition! 5.7L V-8 HEMI Engine - V8 cyl.